In the past year I have been adding some Instructional Design descriptions in my notebook. After I while I realized that something useful could come out of this very varied collection, so now I am putting some of these pages online (the Instructional Design Variation matrix or IDVmatrix). The idea is to grow a compendium of these pages, adding parameters that are meaningful in ID to each of those learning/teaching design elements, and eventually use these parameters as a matrix to use on the job. I will only write them here, and add the #IDVmatrix hashtag for easy recall once these pages grow. The reason behind these pages is to create a contemporary overview of Instructional Design options that are out there, and to build an instrument that allows you to quickly screen whether other ID-options can be used that reflect the same parameters you are looking for (taking into account your target learning population). The collection will have standard ID-tools (e.g. authoring tools, LMS, MOOCs...) as well as more contemporary learning and teaching tools (e.g. chatbots, machine learning, ...). The template I will follow is simple: short description (as brief as possible while allowing main features to be addressed), a segment on who uses it and how (of course that will be a not exhaustive), referring to some examples, important features to keep in mind, and finally adding a matrix stamp to it (taking into account the 5 parameters I think are relevant to structuring educational tools. 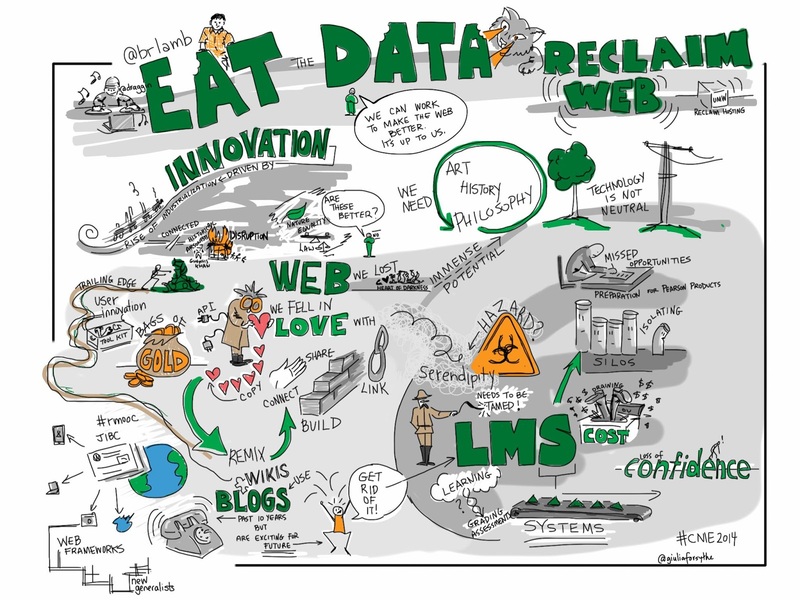 And trying to add some meaningful, possibly EdTech critical pictures as a bonus. First one: a classic: the LMS. Learning Management Systems (LMS, also related to Content Management or Course Management Systems) come in many variations, but generally they offer a digital environment to facilitate, support and design online or blended instruction. an LMS offers content structuring options (put specific modules online, sometimes integrate a learning path into those courses), quiz-options (including a question-database with a variety of quiz-options), and communication services between the learners, the facilitators, the course managers ... or all of the learning stakeholders. The LMS is pre-programmed. In some cases this means the complete system is programmed (e.g. Blackboard, WIZiq), and you - as a course provider - can only customize specific features, but in other cases you can customize a big part of the system (due to open source code), including some programming that you do yourself (e.g. Drupal, Moodle). Some smaller LMSs offer a more specialized and valuable option, e.g. Curatr which emphasizes the social learning factor. Some LMS also include course libraries, or you - the institute - can build an open, LMS supported library to offer support to your learners. Normally these systems are self-contained, but with options to integrate other tools to align the LMS with contemporary learning realities (e.g. integrate instagram, twitter). Although some LMS are free, you need to consider the cost of server space, programming some features, supporting all users, and keeping the system up and running 24.7.
Who uses it: learners, teachers, trainers, course coordinators, ... each on their own level. Normally user rights can be allocated within the LMS. Depending on the role, the LMS will offer a different experience (back-end mostly for course-delivery people, and front-end for the learner). Important features to keep in mind while choosing a LMS: security features are very important as a LMS generates a lot of learner data and communications traffic. A mobile app is a must, test it on multiple devices to estimate the quality of the app. Offline features will make life much easier for learners. SCORM options make life easier for any instructional designer, and xAPI features will allow the educators/facilitators to make meaningful analysis from all the learner data. The call for papers below is for authors researching 'human learning and learning analytics in the age of artificial intelligence' and is an action to celebrate BJET's 50th anniversary. But first ... the call for co-authors to realize a new Rebus book on the subject of Introduction to Philosophy series. See the full list of open and completed chapters. 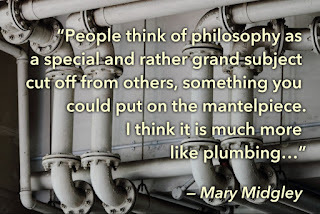 Authors should have a PhD in philosophy and teaching experience at the first-year level. PhD students and candidates may also be considered as authors, or can contribute to the book in other ways. If you are interested, please let us know in Rebus Projects. Include your CV, a brief summary of your experience teaching an intro to philosophy course, and the chapters you would like to write. We’re also looking for a co-editor for the Aesthetics book, and an editor forPhilosophy of Science. If you’re interested in taking on one of these roles, read the full job posting and then comment in the activity on Rebus Projects, including some details about your experience and the area in which you are interested. The editorial team encourages contributions from members of under-represented groups within the philosophy community. Decisions will be made by the team on a rolling basis. 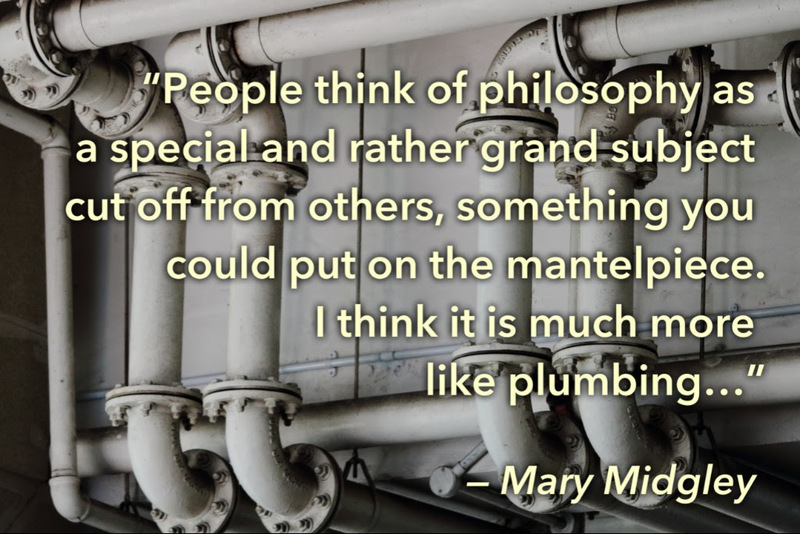 Photo by Samuel Sianipar on Unsplash, Reading source Mary Midgley, "Philosophical Plumbing"
Publication: Online as soon as copy editing complete. This special section focuses on human learning and learning analytics in the age of artificial intelligence across disciplines. 1. Learning and human intelligence: Based on what we know of the brain and what we are likely to understand in the near future, how should learning be defined/redefined? 2. Learning and innovation skills, the 4C - creativity, critical thinking, communication and collaboration: How could learning technologies support the transformative nature of learning involving all domains of learning, cognitive, psychomotor, affective-social? How could the advanced feedback and scaffolds support the transition from “combinational” to the “exploratory” and “transformational” creativity, thinking and potential consequences for communication and collaboration? 3. Towards a holistic account of a person – brain, body, habits, and environment: What would a learning and research design that embraces a whole person perspective look like? 4. Human intelligence with innovations and advances of technologies: What technologies are most likely to have a positive impact on learning in the short and long future? 5. Properties and units of measures of learning: What are the constructs of learning and beliefs about learners and learners’ needs given the multilevel technologies, collaborative networks, interaction and interface modalities, methodologies and analysis techniques we have to work with? 6. Learning perspectives: Do we face transitions in theories of learning? In the past 50 years, BJET has been at the front offering a platform and forcing discussions in the above areas. At the 50th anniversary of BJET, we invite interdisciplinary scholars to contribute their most current research to BJET as a way to celebrate BJET’s anniversary. Please send me the working title of your paper with a short abstract (if you include co-authors, please also provide names of all authors) to my e-mail andreja.starcic@gmail.com by November 30th, 2018. Assessing online learning has many challenges, but with this new book written by experts Dianne Conrad and Jason Openo, a lot of solutions can be found. 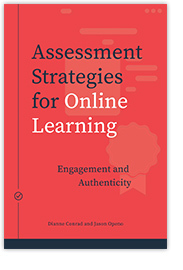 The book, entitled Assessment Strategies for Online Learning - Engagement and Authenticity, can be bought for 32,99 dollars here (if you have a budget this is the way to go as you support author and initiative), or you can have a look at the free pdf here. This book is a must read for those using assessment, as it not only gives traditional assessment, but also dives into evaluations that are linked to open learning, journals, portfolios, etc. Great and interesting read. For many learners, assessment conjures up visions of red pens scrawling percentages in the top right-hand corner of exams and feelings of stress, inadequacy, and failure. Although learners sometimes respond negatively to evaluation, assessments have provided educational institutions with important information about learning outcomes and the quality of education for many decades. But how accurate are these data and have they informed practice or been fully incorporated into the learning cycle? Conrad and Openo argue that the potential inherent in online learning environments to alter and improve assessment and evaluation has yet to be explored by educators and learners. In their investigation of assessment methods and learning approaches, Conrad and Openo explore assessment that engages and authentically evaluates learning. They insist that online and distance learning environments afford educators new opportunities to embrace only the most effective face-to-face assessment methods and to realize the potential of engaged learning in the digital age. In this volume, practitioners will find not only an indispensable introduction to new forms of assessment but also a number of best practices as described by experienced educators. This work is licensed under a Creative Commons License (CC BY-NC-ND 4.0). It may be reproduced for non-commercial purposes, provided that the original author is credited. Assessing online learning is mostly part of formal education, but can be used to provide a formal status to self-directed learning which the learner wants to show to the public.